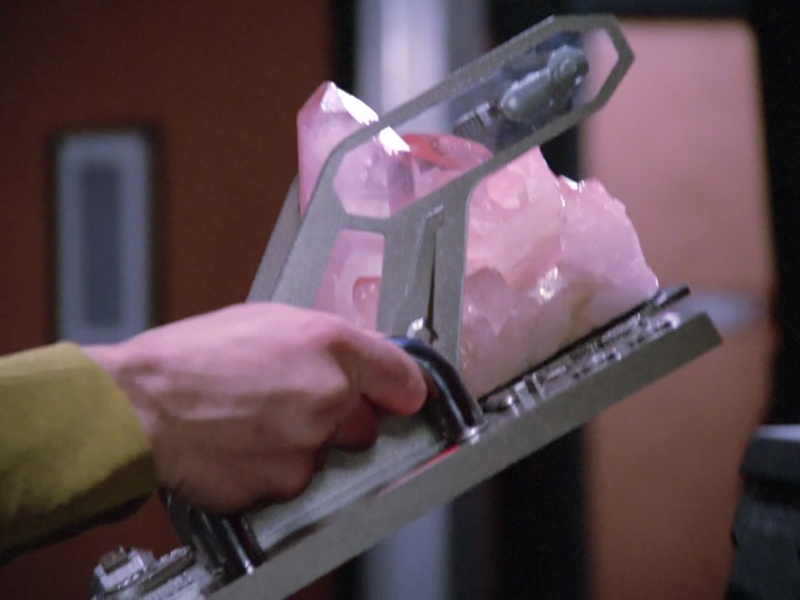 Dilithium Crystals. Necessary for warp drive. Found nowhere near Earth. As you venture out into the galaxy, there are certain things you’ll find you need to get by. Dilithium for your warp reactor, for example, or Naquadah for a generator. But these incredible resources are often very rare and hard to find. In fact, you almost never find them on your homeworld, it seems. Sometimes, like with Dilithium, it’s simply rare in nature… but how can you be sure that’s case in your galaxy? Maybe it’s rare because your precursors beat you to the punch, and used up all the easy sources for themselves first. They strip-mined every planet with it they came across, and now they’ve gone and ascended to a higher plane of existence, leaving you stuck here in this crummy plane without the capacity to follow in their footsteps. Heck, maybe that’s why it took you so much longer than them to get into space–they pillaged your planet before you had a chance to find it for yourself! Fortunately, Rassilon is a bit egotistical and slaps his Seal on everything. Since the predecessors emerged so much earlier than everyone else, they had a lot of time to themselves, and often enough they spend it inventing all kinds of things. Some things are pretty cool, like the Stargate Network, and you might be able to make use of it yourself. Other inventions might leave you wondering what the hell they were thinking in the first place. Like the Dakara Superweapon, which can annihilate entire species from the galaxy in one move, or the field of Aceton Assimilators at Orelious IX, that trapped passing ships for nearly a thousand years. Of course, those were meant to be dangerous, but not every “toy” your predecessors leave behind was designed to be. Once in a while you’ll stumble across some mad scientist’s half-completed project, like Janus’s Attero Device, which had the unintended side effect of causing Stargates across the galaxy to blow up without warning whenever it’s activated. And if you ever hear something is named after Rassilon, you’re probably better off dropping it right then and there. Maybe they were trying to help, though. They left some stuff behind to spread information… but didn’t really think it through. The Ancient Knowledge Repositories, which were supposed to help younger species catch up, but do so by grabbing the heads of passerby and dumping so much data into their brains that they’ll die before ever getting to use it (suffice it to say, the Ancients of Stargate are TERRIBLE predecessors). Or the D’Arsay Archive, that infected the Enterprise with a computer virus while trying to convey information on their extinct civilization. These predecessors just assumed we’d be able to figure out how to use this tech without destroying ourselves and didn’t bother leaving any clues as to how dangerous it might be. Once you begin to chart nearby space, you may find evidence of your predecessors on their former planets. Is it just ruins, or are there some items that are miraculously well preserved? Look around; is there anything that might plausibly be a warning to keep you away? Just to be safe, don’t go turning on any ancient technology until you’ve had your scientists figure out what it might do… and pray to those predecessors that no one else does, either. When your predecessors have been around too long and their doomsday devices have grown dull, they might try to whip up some friends. This is often one of the last things they’ll get up to, which typically means these creations are left to roam the galaxy in their soon-to-be absence. Take the Pralor and the Cravic, who each created a race of robots that eventually wiped out both sides in the war and kept fighting long after. Or the similar case of the Berzerker Drones. Sometimes they’re way worse, basically automated weapons like the Planet Killer. 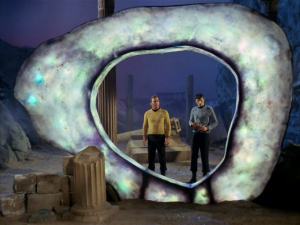 They don’t have to be mean; look at Mudd’s Planet, and the androids left behind there. 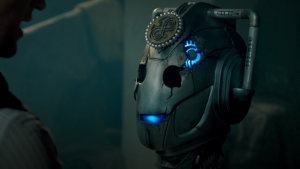 They also don’t have to be robots–Daleks are the little blob-like creatures in dangerous tanks that emerged from the Kaleds on Skaro (whom they exterminated); The Toclafane had a similar origin. 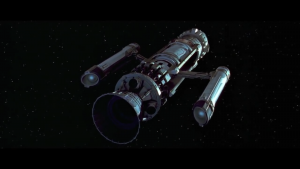 While all those were capable of moving around the galaxy (or beyond, in a few cases), other intelligent creations were often bound to a single purpose and a single location. The Guardian of Forever was left behind by a mystery race with ridiculously powerful capabilities to alter the past. The Asuran Replicators were just poorly programmed weapons that were trapped on one planet for a very long time, until the Atlantis expedition woke them up. The Xenomorphs from Alien have at various points also been depicted as the negligent creations of other species. The most obvious sign your predecessors have left their creations running free is if you encounter sentient or highly complex machines operating independently of any biological lifeforms. Once you can rule out mind uploading or something similar, they’re probably AI. For biological creatures, it’s a little trickier; is it a little too well adapted for its environment? Or maybe the opposite–it’s so poorly suited to its current environment that it couldn’t possibly have evolved. While your predecessors may be gone, their creations sure aren’t… heck, you might be one of them. How much trouble could your enemies get up to in millions of years, really? Those predecessors may have wasted all the valuable resources on pointless experiments that remain dangerous to this day, but something had to have happened to them. If you’re lucky, they’ve simply ascended to a higher plane, or “evolved” beyond the need for physical forms. They may have also been horrible to their creations, and killed off as a result. The worlds that are less fortunate, however, may have had predecessors who were… less than friendly to their neighbors. It could be a younger race who emerged while they were still around, or a second race of precursors who aren’t quite as absent as yours are. All that really matters is that they pissed off a lot of people in their day. Those survivors, the ones who drove your predecessors off–they aren’t seeing the difference between you and their enemies. The predecessors aren’t available to take it out on, so now that grudge gets aimed at you! 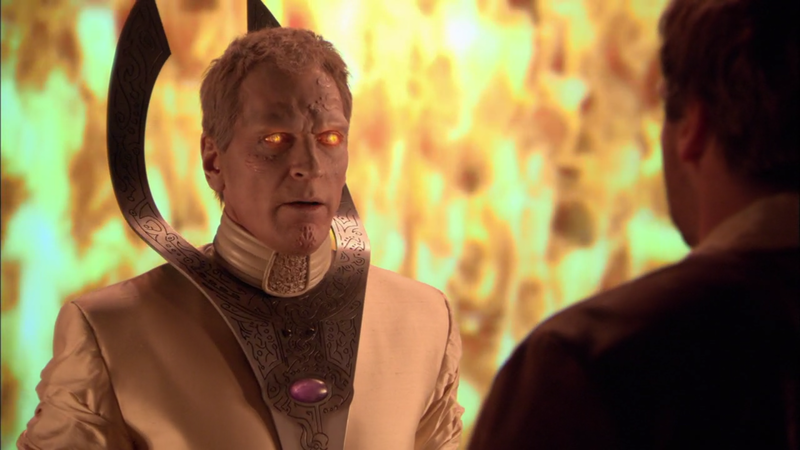 Gallifrey tried to wipe out the Daleks, and all that did was make them even more powerful, until finally the entire universe was at risk. Even now, long after Gallifrey has disappeared, the Daleks continue to exterminate anyone and anything. The Ancients splintered into two groups, and the darker faction, called the Ori, seek to enslave all mortals. They were left to run amok on their entire home galaxy after the Ancients fled here. The Ancients also left the Pegasus galaxy when the Wraith emerged to challenge them, leaving the humans they’d seeded defenseless. If your predecessors aren’t quite gone, they might be manipulating you to fight their enemies to this day… or they could attack you directly themselves. Predecessors with unsettled grudges are pretty easy to figure out. Are all the people you meet out there among the stars mad at you for reasons you can’t understand? Maybe the predecessors are why. Failing that, be very careful not to accidentally activate any stasis devices or emergency beacons that have sat undisturbed for thousands (or millions) of years–it might awaken those long-forgotten predecessors or their enemies. Don’t be lured in by advanced alien technology; it’s not worth the risk! So there you go. Any other predecessors you think you’ve pinned down by now? Or did you find some other clues that might implicate them as being negligent or abusive? Let me know in the comments, or on Twitter @RetroPhaseShift.